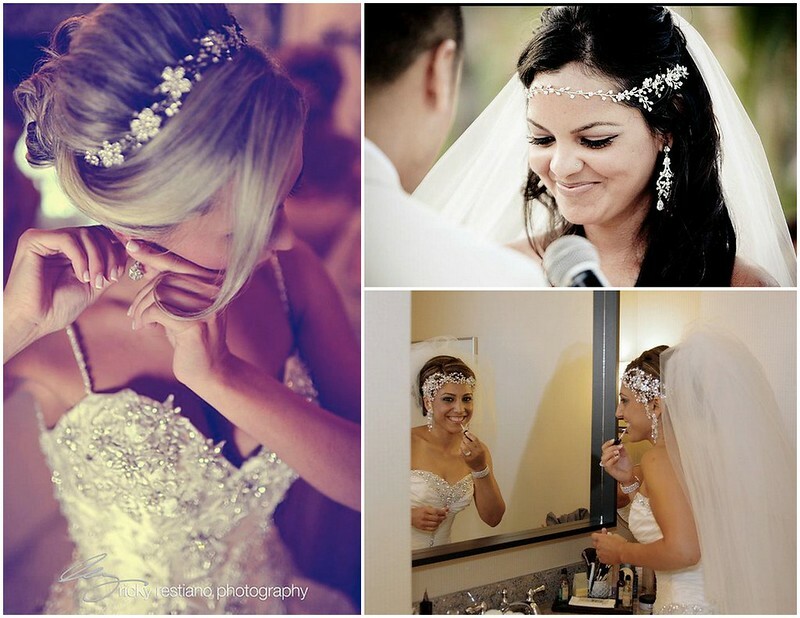 All the Bridal Styles brides pictured have one thing in common (other than being beautiful and marvelously happy!). 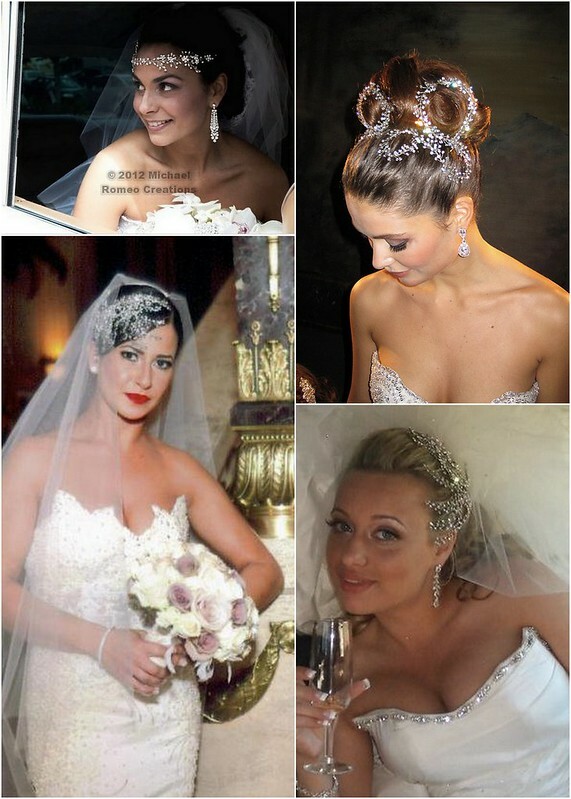 They’re all wearing soft bridal headpieces! Glittering with crystals, pearls or a gorgeous mixture of both, these versatile hair accessories have a unique property that sets them apart from all the rest: their flexibility! Because they are woven with a delicate, soft metal wire, these pieces have a suppleness that makes them easy to shape to your hair or face. Which means you and your hairstylist have the freedom to create any kind of look you can dream of, from classic to unique. Plus, they’re available as vines, headbands and combs, allowing for even more personalization. 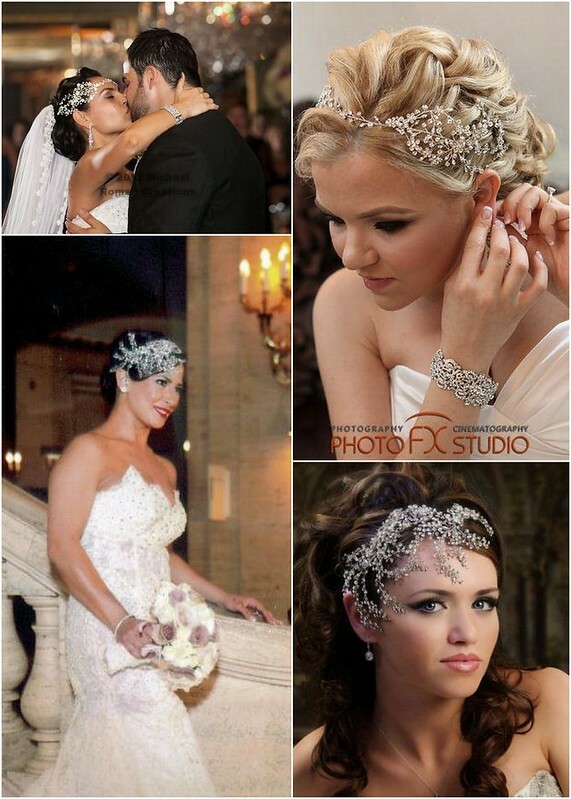 To see our extensive collection of soft bridal headpieces, visit us in Brooklyn at our bridal accessory boutique! 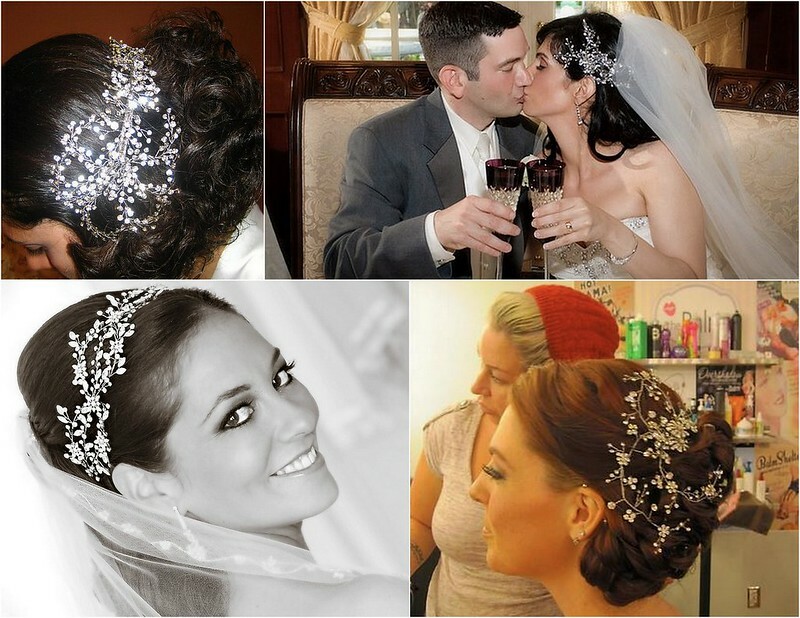 This entry was posted on Tuesday, January 8th, 2013 at 11:54 am	and is filed under Bridal Trends, Inspiration. You can follow any responses to this entry through the RSS 2.0 feed. You can skip to the end and leave a response. Pinging is currently not allowed.